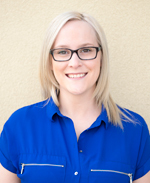 Kate is a registered massage therapist at the Center For Healthy Living. Her massage services include Deep tissue massage and sports massage. Kate’s technique is very thorough and provides a stronger therapeutic massage for those clients who prefer a firmer hand. For those clients that carry group benefits, Kate is fully covered by all insurance companies except Alberta Blue Cross and Equitable life at this time. Hatsune Dale graduated from Mount Royal University in Calgary, AB with over 2200 hours of training. She is also a certified member of the RMTA. She is dedicated to treating all types injuries stemming from the workplace, motor vehicle accident rehabilitation, sports therapy and relaxation. In her spare time, she enjoys exploring the mountain trails with her backpack and camera. Hatsune is currently working part-time hours at the clinic. 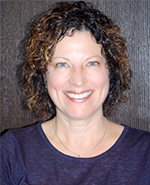 Laureen graduated from the 2200 hour massage therapy program from Foothills College of Massage Therapy and has been working as a registered massage therapist since 2001. Since that time, she has continued to build on her massage training with continuing education courses in pregnancy massage, craniosacral therapy, visceral manipulation, myofascial release and others. She completed a myofascial cupping workshop in April 2014 and incorporates cupping techniques into her massage therapy treatments. Laureen has extensive experience in therapeutic/deep tissue massage, pregnancy and relaxation massage. 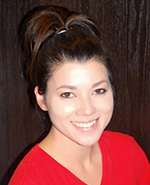 Lee is an experienced and effective Registered Massage Therapist with years of work and research background in medical and biomedical sciences. 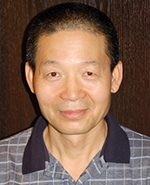 Equipped with extensive training and knowledge in human body and massage techniques, Lee is alert to the importance of treating the human body as a whole. He applies a balanced and holistic approach that goes beyond addressing localized pain and discomfort. With strong healing hands, Lee’s massage therapy not only aims to release trigger points or tight bands but also to promote his client’s overall long-term health and wellness. He is mindful and responsive to the unique conditions and needs of each client. No matter what your goal is — relaxation, therapeutic, sports, deep tissue, or pregnancy massage — you can be confident in Lee’s sound skills and individualized approach to providing exceptional care. His massage therapy services are fully covered by all insurance companies. Chelsey is a graduate of the WCRMT in Regina, SK. 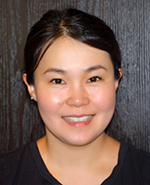 She enjoy’s treating a wide variety of clients and adjusts her treatment based on their needs. She is an athlete herself and holds a sports therapy diploma, making her passionate about working with athletes of every caliber whether it’s for injury rehab or proactive treatment. She also has a special interest for working on the neck to help clients bothered by headaches/migraines, chronic pain, or whiplash disorder. Chelsey is certified in fire cupping therapy and uses this modality to enhance her treatment effects when necessary. She’s holds empathy for all of her clients and finds it greatly rewarding to see their progression. She believes that client education is just as important as the treatment she provides, in order to help prevent re-injury and establish a client-therapist relationship throughout the process. 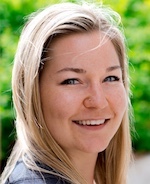 Erika is originally from Banff, Alberta, and moved to Calgary in 2014. 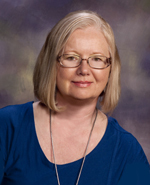 She obtained her Kinesiology degree with Honours from Wilfrid Laurier University, during which time she volunteered at a Pedorthic clinic and immediately was drawn to the profession. Erika continued on to complete the Pedorthics program at Western University, graduating with distinction. Erika quickly became certified after the completion of her diploma and is a proud member in good standing of both the Pedorthic Association of Canada and the College of Pedorthics of Canada. Erika has a broad passion for sports and their injuries however also shares Rob’s strong belief in preventative health management. Mehwa has been a practising physiotherapist since 1996. Graduating from the University of Western Ontario with a Bachelor of Physical Therapy, she went on to practise at various hospitals, private practise and sports settings in Toronto, Edmonton, the UK, and Australia before settling in Calgary. In 2002, Mehwa completed her Masters in Manipulative Physiotherapy at the University of Queensland in Australia. She went on to do research in neck dysfunction before returning to Calgary in 2005. 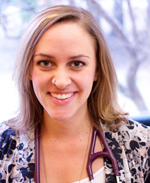 Her current focus is education and specific muscle retraining in the acute and chronically injured patient ranging from the desk jockey to the weekend warrior to the elite athlete. She works with various clients in the clinic, at the gym and with teams on the sporting fields. 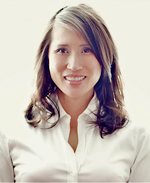 Mehwa is a fellow of the Canadian Academy of Manipulative Therapists She is a certified Gunn IMS practitioner and focuses on rehabilitative training as well as using acupuncture in her practise to rehabilitate her clients. She encompasses a mind, body, spirit approach to her therapy and believes all systems are interconnected. Outside of the clinic, Mehwa loves to play sports, workout, practise yoga and meditation, spend time in the mountains, read, travel, challenge herself and others and strive to be better. Yasser Abdel Ati has been practicing physiotherapy for over 20 years of varied work experience in assessing and treating a wide range of conditions including musculoskeletal, neurological, cardiopulmonary and pediatric physical therapy rehabilitation. He earned his bachelor degree in physical therapy from Cairo University in 1996. He then went on to complete a Master of Science in Physical Therapy in 2003. He became Canadian Licensed Physiotherapist in 2009, since then he has worked in private practice in Edmonton sport institute with Dr. Randy Greg who is a sports injury doctor and a famous former hockey player in Edmonton then moved to Calgary in 2012. 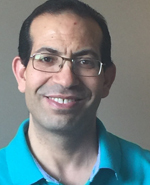 Yasser is a registered physiotherapist with the Alberta physiotherapy College / association. He is a member of the Canadian Physiotherapy Association and its Orthopedic Division since 2009. He is also a member of McKenzie Institute Canada and certified Advanced Soft Tissue Release (ASTR speciality from ASTR Institute California, USA). Yasser has a great passion for delivering the up to date evidence based therapeutic techniques to his patients to ensure achieving the optimum results. For this passion, he had continuing education courses in advanced soft tissue release, advanced orthopedic mobilization techniques level I & II, Biomedical dry needling courses level I &II, Temporomandibular dysfunction (TMD) course with Steve Kraus, Vestibular rehabilitation courses with Jeff Walter, Course in Shock Wave Therapy and Certification, McKenzie Courses Level A and B (MDT), Laser application in medicine, Cardiopulmonary Resuscitation (CPR), BLS for Healthcare Providers Level C. Yasser continues to take courses and learn about the latest research. His experience in McKenzie Method, Myofascial Release, Dry needles Temporomandibular, vestibular and Orthopedic Manual Therapy is conducted to his patients on a case by case basis. With hope and compassion Dr. Karen offers a multi-faceted counselling approach for teens, adults, and couples. Specializing in trauma, depression and anxiety, she also works with lawyers and insurance companies regarding motor vehicle accidents. With couples she helps improve communicating from the heart and soul, setting emotional boundaries, and developing more conflict resolution skills. If you have a private health care plan through work, they usually cover 80% of her fee up to a specified maximum. The balance is claimable as a health cost for income tax. To book an appointment, call her at 403 390 1815, or use the contact form on her website www.emergo.ca On her website you can learn about her many counselling approaches, fee, view her resume that shows her extensive training as a lifelong learner, and her broad experience initially in Human Resources for large organizations, and since 1997 in Counselling Psychology.